My Arduino board usually programs fine. 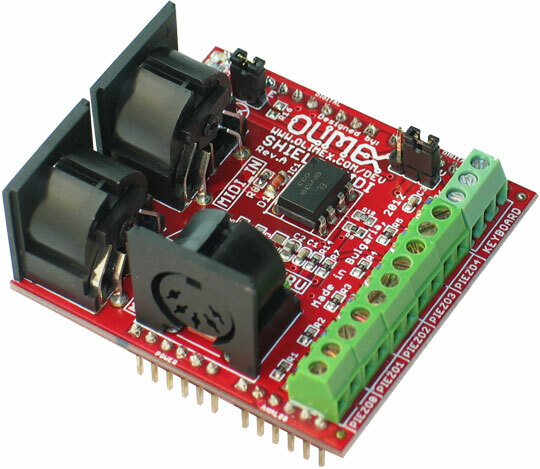 However, when I attach this SHIELD-MIDI to my board, it doesn't want to program anymore. If I remove the shield - again the board programs fine. What is the reason for this behavior? 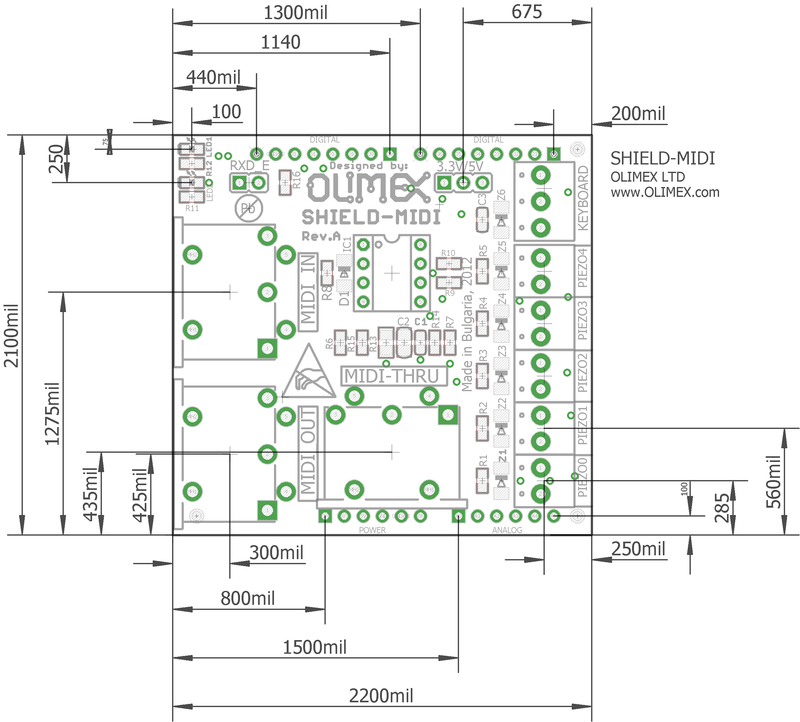 This happens when the board uses D0 and D1 pins for USB communicaiton, snice SHIELD-MIDI also sues D0 and D1. In this scenario, SHIELD-MIDI would block the USB communication between the board and the computer. This multiplexing is usually a problem only during programming (when the D0 and D1 pins are required). 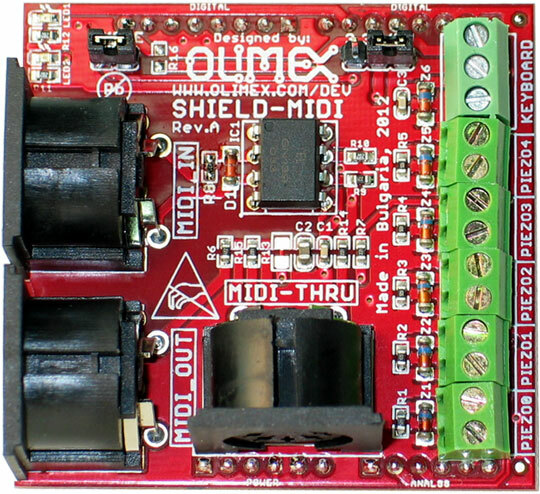 We have provided a hardware workaround, so that you won’t have to disconnect the whole shield from the main board each time when you have to upload new code. 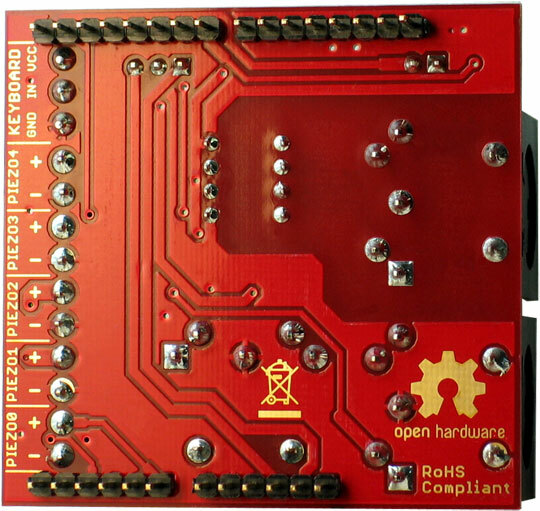 Locate and remove the RXD_E jumper, then program the main board. After the programming is complete put back (close) the RXD_E jumper. Each time you program the board you’d need to remove RXD_E jumper.